As players rose to stand for the national anthem at the 49ers-Packers game on Friday night, 49ers’ quarterback Colin Kaepernick pointedly remained seated. His gesture was to protest the treatment of African Americans and minorities in the United States, as he told NFL.com after the game. Kaepernick has remained sitting during the anthem “in at least one other preseason game,” according to the site. 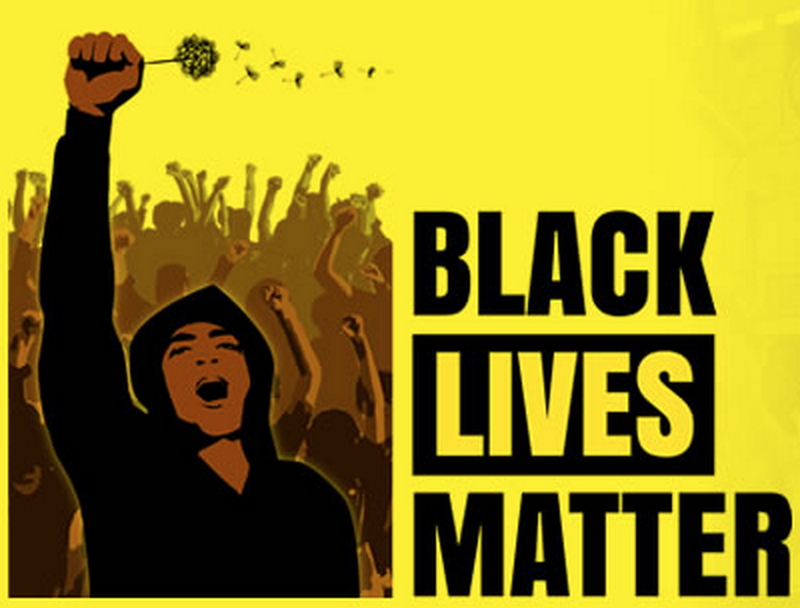 On his Twitter page, Kaepernick has recently focused on Black Lives Matter, police violence and civil rights issues. Kaepernick’s protest has drawn comparisons to a similar gesture 20 years ago from Denver Nuggets guard Mahmoud Abdul-Rauf, which generated a major controversy.He was suspended for one game and ultimately agreed to stand with his head bowed in prayer, as SB Nation reported. The gesture has also ignited debate and is currently trending on Twitter. It has sharply divided fellow NFL players. 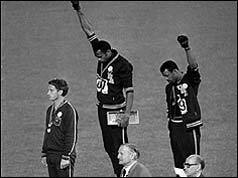 On the 40th Anniversary of their protest, Tommie Smith and John Carlos (pictured above L-R) were honored with the Arthur Ashe Award for Courage at the 2008 ESPY Awards held at NOKIA Theatre in Los Angeles. Another one of those cases of absolutely over the top cops. First shooting at a kid running away, and then continuing to shoot when the suspect stops and raises his hands. Fortunately this one didn’t end in Murder by Cop. Newly-released video undermines New York City police’s claim that a teenager was threatening them with a toy gun when they fired at him 16 times during a December 2013 encounter, the New York Daily News reported. The footage shows Keston Charles, who was 15 years old at the time, running from officers, then limping, then putting his hands up with no sign of the BB gun he was reportedly carrying, which he allegedly took from a friend during a neighborhood fight and used to threaten another boy. Charles served 18 months of probation in connection with the incident, and is reportedly trying to obtain his GED. Charles was hit three times — twice while surrendering at the front door of his apartment building in Brooklyn. Charles is now suing Officer Jonathan Rivera over the incident. Always seem the ones who are doing something despicable? A Georgia pastor who said Pulse nightclub shooting victims got what they deserved has been arrested on child molestation charges. Ken Adkins, of St. Simons Island, turned himself in to police about 9 a.m. Friday on aggravated child molestation charges, reported The Florida Time-Union. 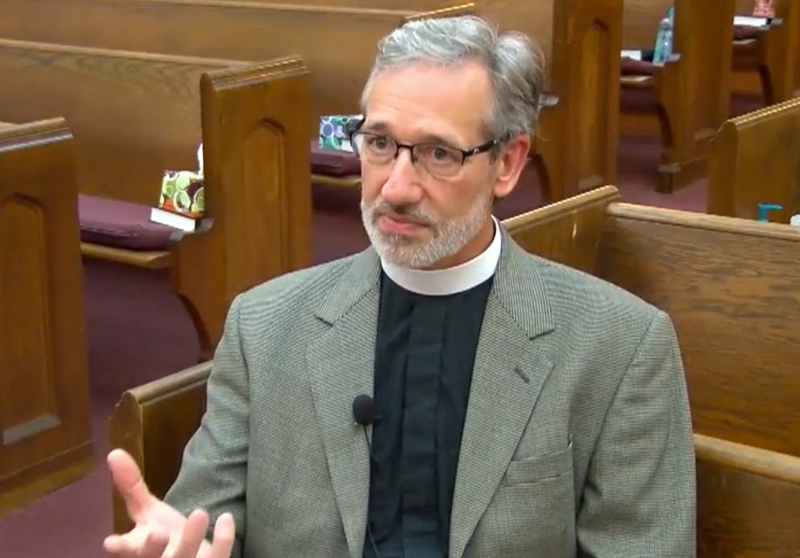 The 56-year-old Adkins, who has congregations in Atlanta, Jacksonville and Brunswick, Georgia, is an outspoken anti-LGBT activist in the Jacksonville area. He drew widespread condemnation for making offensive remarks about a fatal shooting that left 49 clubgoers dead and 53 others wounded at a gay nightclub in Orlando. The alleged abuse took place at Adkins’ church in Brunswick, as well as the pastor’s car and the victim’s home, prosecutors said. His attorney said investigators told him the abuse took place in 2010. The pastor’s wife said she believed Adkins would be cleared, and she expressed concern about the young man who made the allegations. Charlotte Stormy Adkins said the alleged victim was part of the church’s ministry and had been mentored by her and her husband. She will serve as interim pastor while her husband takes leave. No joke. A Church in North Carolina has started weekly group meetings. Meet the newest Marvel character – IronHeart. 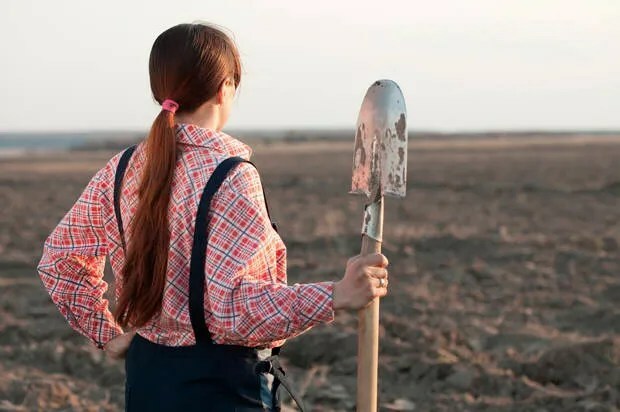 She is scheduled to replace Iron Man. 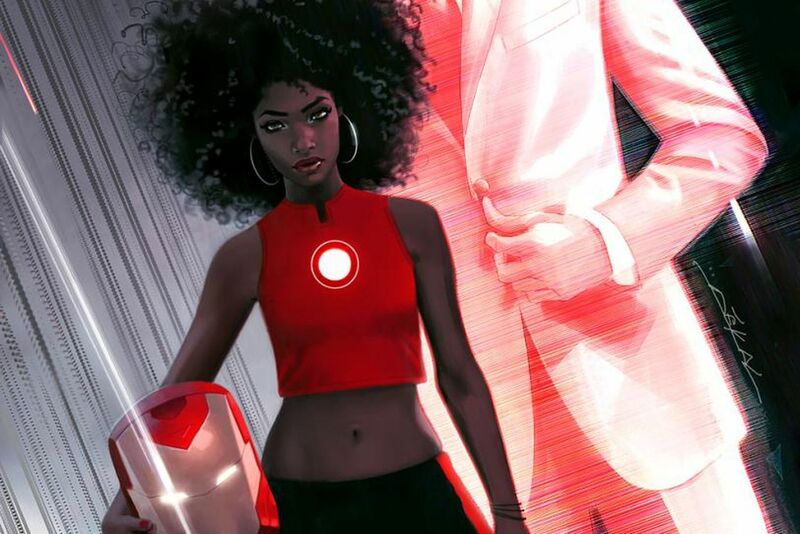 Last month, Marvel revealed that Tony Stark would be passing on the Iron Man mantle to Riri Williams — a 15-year-old genius and the first young black woman to wear the famous armor. As we suspected at the time, Williams won’t be keeping the Iron Man name, and now, as reported by Wired, we know her chosen moniker: Ironheart. Williams was first introduced to Marvel readers in Invincible Iron Man #9 back in May, when she creates her own Iron Man suit in her dorm room at MIT and gets kicked out of school for her trouble. Wired reports that Williams will get a proper introduction with the first issue of the next Invincible Iron Man volume coming out this fall, with Stark officially endorsing her new superhero role.